Bill Maher was both right & wrong in his scathing reply to comics-fans who mistakenly believed that he’d disrespected the grand master of Comics, Stan Lee, in a recent commentary. A long-time fan of comics, for several years I’ve been writing novels inspired by some iconic comic-book heroines and heroes. Mostly heroines: I’m a straight man who loves and respects women. They and their stories seem more interesting to me, given the obstacles they too often face in life. Struggling against and overcoming obstacles is one of the core themes of literature. I learned to read at three and later partly because of comic books. (The other inspiration was bible stories read to me by my mother most nights.) Luckily for me in kindergarten I was taught by teachers who were hooked on phonics. I quickly mastered reading and by the third grade was reading such diverse material as War and Peace and the Freddie the Pig series. BILL WAS RIGHT in saying that comics are for kids. They are short and pictorial with modest text. This makes it easy to follow the stories and finish each story in a short time. They share this with picture books for kids such as The Tale of Peter Rabbit and The Cat in the Hat. With middle-grade books such as Winnie the Pooh and Diary of a Wimpy Kid. The stories in many comic books also tend to be simple. Many are power fantasies beloved of very non-powerful adolescents. The heroes are fighters, impossibly strong and fast, handsome and muscular, and wear tight neon-flashy clothes which emphasize powerful physiques and call attention to the heroes. The conflicts in comic books are usually simple good vs. evil stories. They typically have few shadings in between, though there have long been movements toward more characters with ambiguous morality who struggle with both their dark and light sides. Batman was among the first of such semi-heroes. RollingStone did a spread on The 50 Best Non-Superhero Graphic Novels. To my taste they chose too many of the darker-themed comics, but their list IS eclectic. I’m a fan of Fun Home: A Family Tragicomic. Another favorite is a retelling of A Midsummer Night’s Dream. I admire the artwork in Monstress. Ditto the Saga series. And the Paper Girls series. Neil Gaiman’s A Study in Emerald revisits Sherlock Holmes in a universe in which Lovecraft’s Cthulhu myth is real. The Star Wars mythiverse is hilariously revisited when Darth Vader is forced to raise a pre-teen Princess Leia in Vader’s Little Princess. What has this adult done with comics? Perhaps the best example is my novel, self published on Amazon, which was inspired by Wonder Woman. 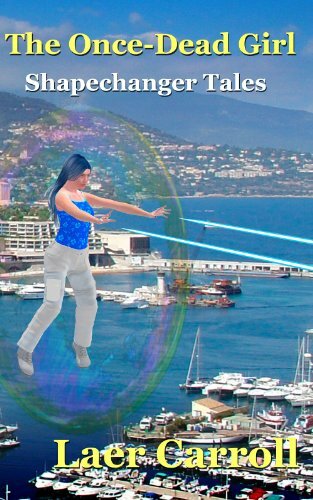 In the illustration below Diana’s invisible plane is a force bubble with a smart robot for its pilot interface. She dresses in ordinary clothing rather than an old-style bikini with high heeled boots. She has no sword and shield; the force bubble is her shield and her sword is laser bolts. Each of the nine long chapters has a graphic image on its first page which refers to an important theme in each chapter. Throughout the book are page-width images from crucial scenes. This is my homage to the graphic nature of comics. There is no mention of the Spider-Man quote “With great power comes great responsibility.” It is there nonetheless, the subtext of the entire book. Her story is how she goes from fine cheerleader to a fighter for justice against the world’s evils. I can think of no more adult concern. Click to read first few chapters.